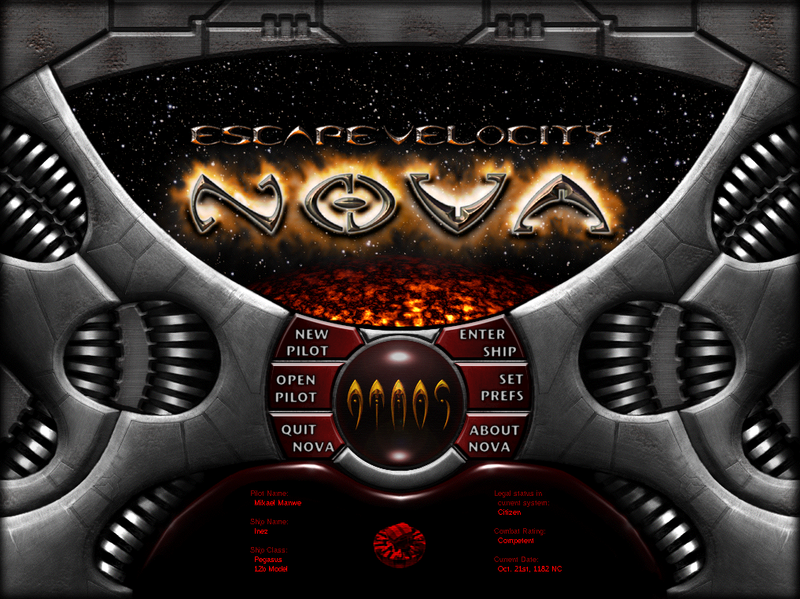 Escape Velocity Nova is one of my favorite old games from years past. I recently dug it up and dusted it off. EV Nova is an epic space masterpiece. Basically you buy a ship, and travel from system to system taking odd jobs, trading commodities, and progressing along a number of different quest-driven plot-lines. 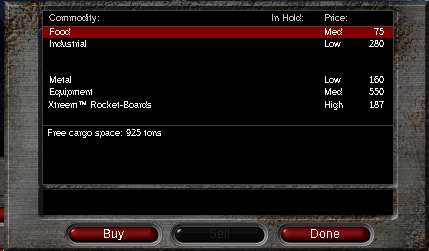 It features some very cool isometric sprite graphics, and some fairly impressively scaled battles against between a number of space factions. Of particular interest is the trading system, which is what I’d like to focus on. 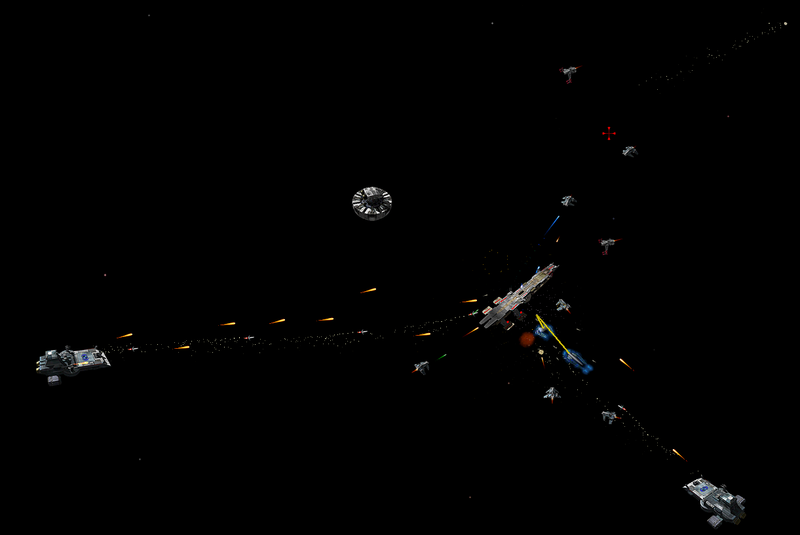 A huge part of EV Nova is raising funds through space trading. Here are the basics. For a given type of commodity at a particular price level, the actual value is the same everywhere, so the “Low” price of “Industrial” is the same everywhere in the universe. Speaking of the universe… It’s huge. 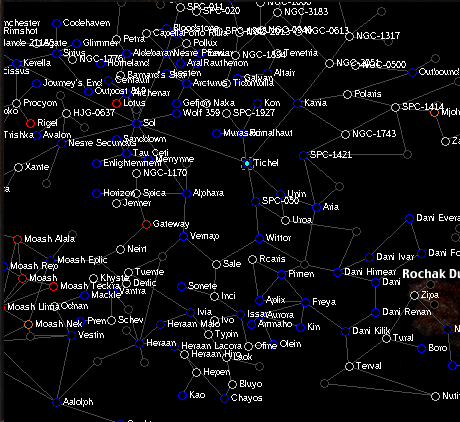 Every blue or red node contains one or more planets that might trade goods. To make a lot of money, you buy something for a low price somewhere, and sell it at a higher price somewhere else. What are the absolute best trade runs? What are the most in-game-time-efficient trade runs? What are the most real-world-time-efficient trade runs? Look for the next installment where we try to answer some of these questions using computers. It should be pretty fun. By the way, the Escape Velocity trilogy, of which Nova is the conclusion, was made by Ambrosia Software. After all of this time, my license key is still working perfectly! I can therefore recommend you go buy one of your own ($30, worth every penny). You can also install and play it for free, although an NPC will occasionally drop out of hyperspace and kill you in the game from time to time. Anyways, I highly recommend sending them over a couple of bucks. It’s just 5 or 7 Starbucks’ coffees, depending on how many pumps of what flavors..
More importantly, it’s a great game that is not monetized by ads. If anyone is wondering how to run it in Linux under Wine, patched to run at a nice large resolution, lemme know and I’ll put a guide up.